As nice as it would be for every high school graduate to receive a college education paid for by Uncle Sam, I don’t believe that a degree equates to more catering business. One of my most successful friends has a GED. We could spend all day examining every trait imaginable, but that would make this article a book. I am going to cut to the chase. In my experience with clients, the one trait that crosses every boundary and what I consider to be the most important predictor of catering sales success is “Action”! This past Monday, I put on a full day catering seminar in Atlanta. The room was packed out with some sharp operators who came to learn, share and network. One attendee, Josh, came up to me to talk. His store’s catering sales are number two among his fellow franchisees. I know from talking with him that he is always out making things happen. It’s his hustle that contributes to his success. During a break, Josh shared the results of a survey he sent to his catering clients. The answer to one of the questions surprised me a little. He asked if they offered online ordering, would his client order more. 42.1% said they would. Now armed with this info, I am betting Josh will be all over getting online ordering for his catering clients. I am betting through Restaurant Catering Systems. During the Atlanta catering seminar, I shared with the group a twist on the old fishbowl drawing promotion to get hot catering leads. Place a sign in your lobby giving away a free catering for 10. Instead of requiring entrants to drop their business cards into the fishbowl, provide an entry form with qualifying questions. 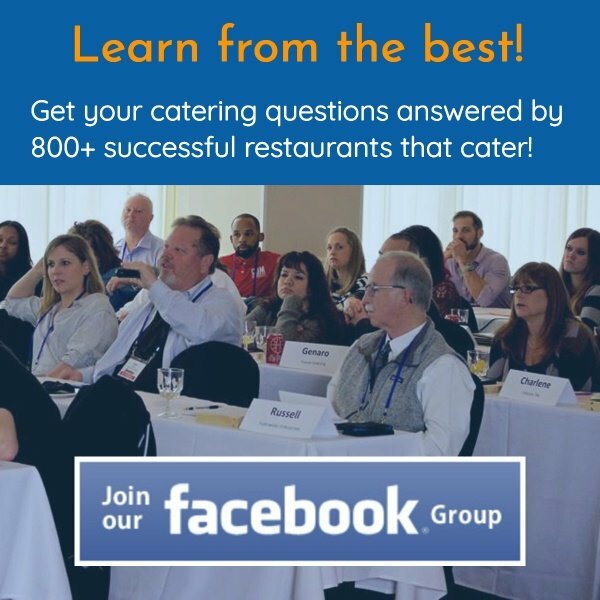 By asking questions like, “Who’s in charge of ordering catering?” and “How many people are in your office?”, you can focus on only pursuing qualified catering decision makers. And of course all companies that are qualified should win the giveaway. This is practically a zero cost lead generation program. Well I gave all attendees a copy of the form to take home. One attendee, Chris, shared with me this morning that he took that form to his local copy shop and put it out immediately. In two days he has generated twenty-five catering leads. I love it! Chris didn’t let grass grow underneath his feet. He took action; immediate action. Chris is about to sign up with us. I am predicting he will really grow his catering sales. Why? Action! So what can you do to take action? Mark Rogers, a longtime client, asked me to create a Marketing Calendar Reminder System. Because I know many of our clients need a way to be reminded to take action and stay on schedule promoting their catering profit centers, I had this feature fast tracked. We launched it at the Atlanta catering seminar, and I presented it to my Catering Coaching Group this past Tuesday. We have preloaded over forty marketing projects for our clients to be reminded of. They can pick and choose which ones they need. In a few mouse clicks, you pick the day of the month to receive the reminder. You can add any of your own marketing initiatives to this calendar. And there is no way for the reminder to fall through the cracks. 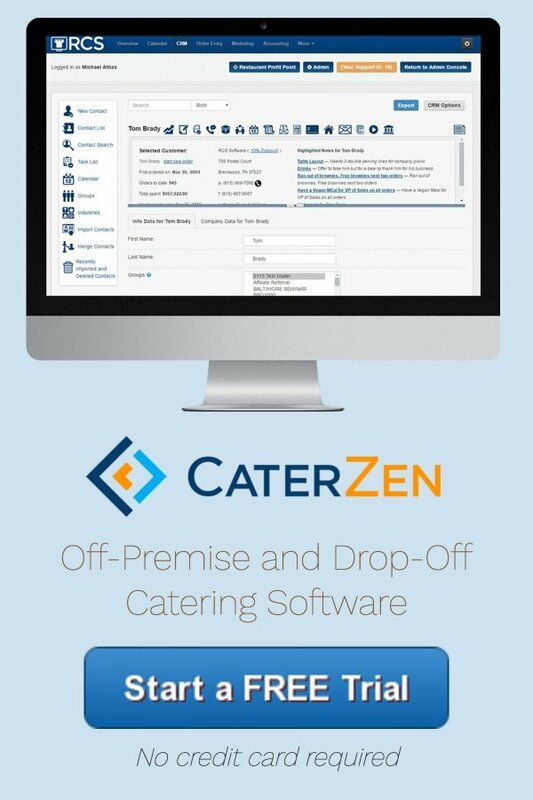 You can be reminded via email, text message and/or a pop up in our catering software when you log in. Where applicable, the reminder has a hyperlink to the page on our catering software with the program to follow or links to an ad template or campaign on our members only website, RestaurantProfitPoint.com for easy download of the sales letter file. As someone who probably drives my team crazy with new projects, I love having a plan to help me take action. If you are a current client of our Marketing Pro Plus System or greater, please call or send in a ticket to have this turned on. Now go out and take ACTION!! !